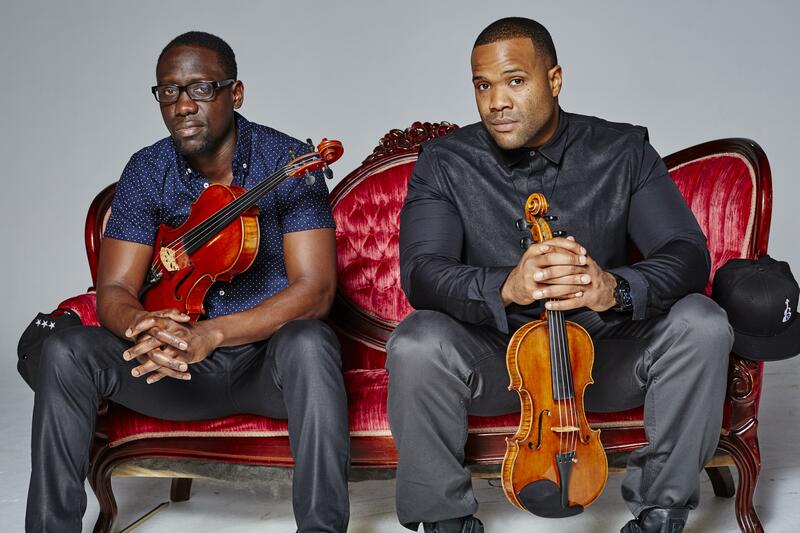 Sun., April 2, 2017, 1:38 p.m.
Black Violin, reviewed Saturday at the Martin Woldson Theater at the Fox. I’m not sure everyone in the audience was prepared for Black Violin’s performance April 1 at the Fox Theater. After the pair opened the show with the title track from 2015’s “Stereotypes,” Marcus set the record straight. Joined by DJ SPS and drummer Nat Stokes, Marcus and Baptiste spent the next two hours driving the point home, fusing elements of classical music and hip-hop. The duo split the setlist between originals like “A Flat,” off Black Violin’s sophomore album “Classically Trained,” and covers like “I Took a Pill In Ibiza,” originally by Mike Posner. After playing “The Mission,” also from “Classically Trained,” DJ SPS and Stokes got a turn in the spotlight. The quartet then improvised a song, something they said they do every show to keep things fresh and show the audience how a Black Violin song typically comes together. What started with Baptiste plucking a melody on his viola quickly grew to include Marcus, DJ SPS and Stokes. Each musician’s contributions blended so smoothly, it’s hard to believe the song was made up on the spot. At this point in the show, Marcus and Baptiste gave the children in the audience, of which there were many, a special shoutout, telling them that they both received full college scholarships for playing the violin, which led to performances with artists like Alicia Keys and Linkin Park and for events like President Obama’s inauguration. “The point of our show is breaking stereotypes and thinking outside of the box,” Marcus said. “We wanted to be professional violinists but wanted to wear fitted caps and joggers so this is what we came up with. Black Violin bridged the gap between young and old, traditional and modern, entertaining the children, parents and grandparents in the crowd. Marcus and Baptiste are doing exactly what they wanted to do because they decided to think outside of the box. Seeing them live is a powerful reminder for the audience to do the same. Published: April 2, 2017, 1:38 p.m.